In the approach to Easter, all over the country shop aisles are becoming stacked full of the best-selling branded eggs. The Easter egg phenomenon has long been a controversial topic, but now a debate has been sparked over the environmental waste caused by over packaged eggs. On average, each egg contains at least 25% of packaging. However, a study by Truthfal weighing the packaging against the ratio of chocolate disclosed some alarming results. Living a more sustainable and environmentally friendly lifestyle has been the focus on recent news reports. Although it seems word hasn’t got around to chocolate manufactures who are disputing this unnecessary waste. 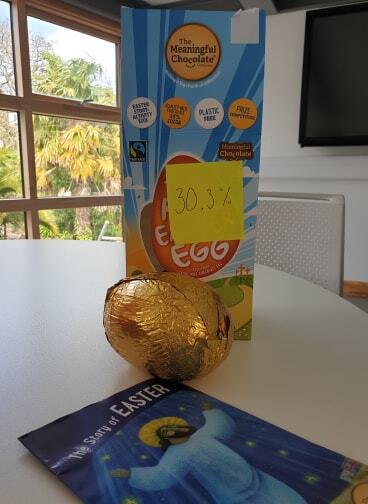 The investigation found ‘The Real Easter Egg’ a product made by ‘The meaningful chocolate company’ who promote being fair trade and plastic free ironically had 30.3% of packaging used. The ‘Real Easter Egg’ which retails at £3.00, contains a hollow chocolate egg, along with an Easter story-activity book foretelling the religious story of Easter. Perhaps a little contradictory given that chocolate eggs are often criticised as taking away the real meaning of Easter. Even though it promotes itself as being recyclable, its cardboard box weighed more than the favourable Cadbury’s ‘Crème egg’ which weighed in slightly less at 24.3%. 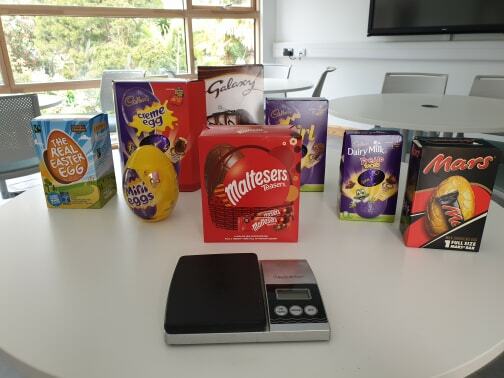 Other eggs which packaging weighed in high were Mars at 24% and Mini Eggs at 21.9%. At the opposite end of the spectrum saw Cadbury’s Dairy Milk Twirl and Cadbury’s Freddo. These eggs were not only more affordable between £1.00-£2.00 each but also had significantly less 19-20% of packaging. Other students were also upset with the excessive amounts of waste. Ultimately, he is right. 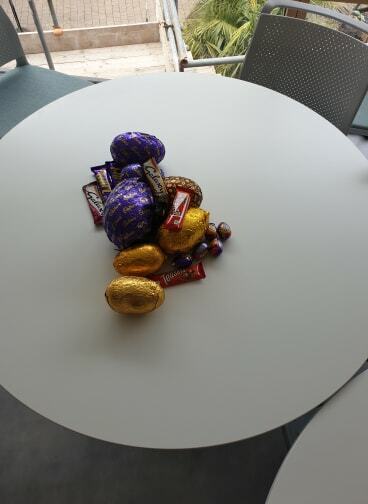 When investigating the weight of the products there was little difference between the amount of chocolate you get in a smaller, more affordable egg than the expensive ones. While he is correct that the outer packaging is usually always recyclable, according to the International environmental organisation ‘Friends of the Earth’ chocolate manufacturers are still failing on their plastic waste. The problem is where do we go from here? Year upon year customers will continue to buy so manufacturers will continue to make. It seems every Easter these boxes are getting bigger and bigger and yet the eggs are doing the opposite. 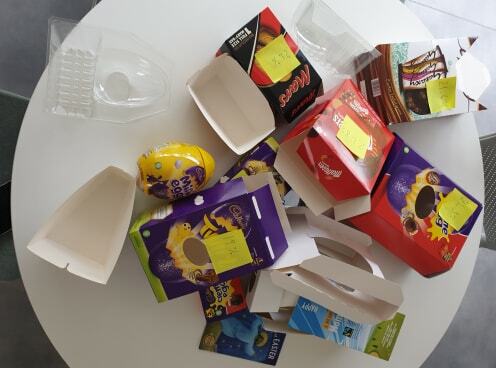 If this continues then one day the real easter egg hunt will be trying to find your egg in the layers upon layers of packaging – it really is no yolk! So maybe this year, try and stick to the eggs which have the least amount of packaging or if you’re all about the bigger the better then make sure you recycle. Easter is the time for new life, so it only seems fair that cardboard packaging has the option of being reused again and again.